So I might be sorta obsessed with rosemary right now. I also have very large rosemary bushes growing in several place in my yard (I don’t use this rosemary for cooking, although I probably could…I have a separate smaller plant I use for cooking.) Anyways, this past weekend we spent some time in the yard, cleaning up, pruning, weeding, edging, etc. and one of the plants we cut back was the rosemary that was trying to take over a section of the yard. I smelled like rosemary for the rest of the day! I just can’t seem to get away from rosemary these days. 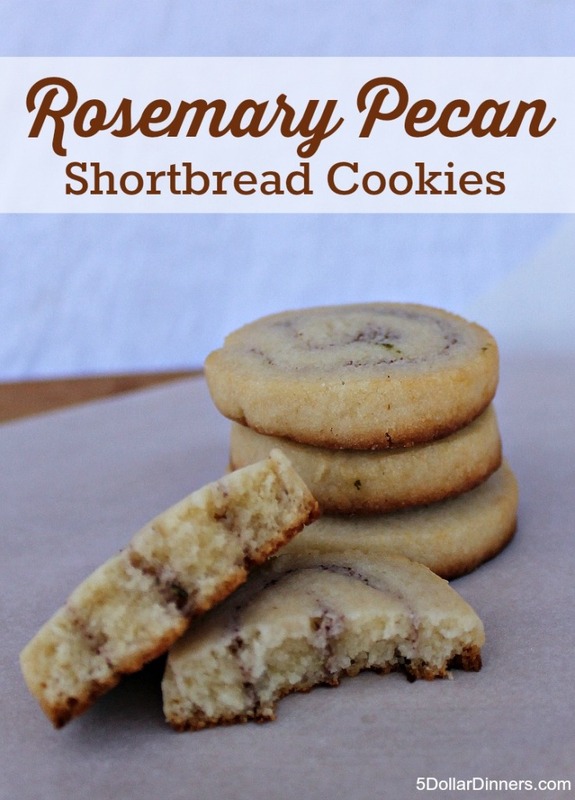 From the turkey glaze to these shortbread cookies…I’m loving rosemary this pre-holiday season! In large bowl, beat sugar, butter, cream, vanilla, and egg. Add the dry ingredients for the dough and mix well. Place the dough in an air-tight container and place in refrigerator for 15 minutes. Roll out dough on lightly floured surface. Roll into rectangle to 1/4 inch thickness. In food processor, combine all filling ingredients and pulse until well blended. Spread filling over dough. Roll into long tube. Slice into 1/4 inch slices. 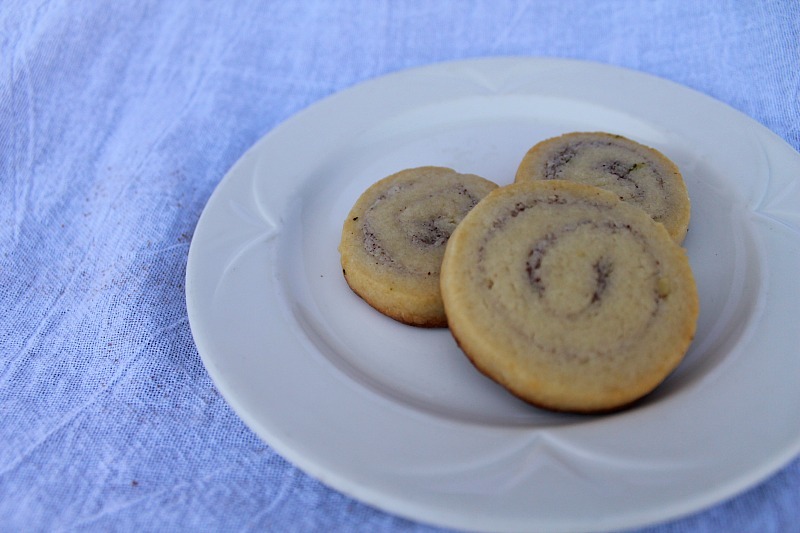 Place cookies on baking pan that has been lined with parchment paper. Bake at 400 degrees for 9 – 10 minutes until the bottom edges are golden. This recipe is featured on Meal Plan Monday #142 – Cookie Edition.